The Department of the Treasury has announced that U.S. currency will soon get a face-lift. Harriet Tubman will become the first African-American to be put on U.S. paper money. She will be placed on the front of the $20 bill, replacing Andrew Jackson, who will be moved to the back. There will be other famous people appearing on new versions of American dollar bills. Tubman was born a slave in the 1820s. 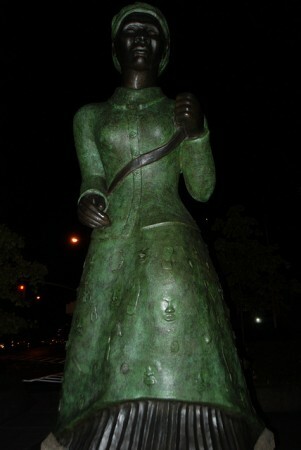 She escaped and went on to help the Underground Railroad lead over 100 slaves to freedom. According to Jack Lew, Secretary of the Treasury, not only will Tubman be the first African-American woman, but she will be the first woman in over 100 years to be imprinted on American paper money. Lew explained giving a face-lift to the currency offers “a chance to open the aperture to reflect more American history.” He also said that the $5 and $10 bills will be redesigned as well. The decision to replace Jackson on the $20 bill had been long anticipated. However, there needed to be a decision made about which person would be the one to transition onto his place. Using a woman on the bill was an idea that was suggested due to a letter President Barack Obama received from a young girl who complained that no women were featured on U.S. currency. Women on 20s was a social media movement that brought additional focus to the idea. In June 2015, the U.S. Treasury first revealed they were planning to feature a woman on the $10 bill. Elizabeth Cady Stanton and Sojourner Truth will be among those who will be on the back of the $10 bill. Alexander Hamilton will remain on the front. Stanton was a leader of the women’s rights movement in America starting around 1850, but, because she had seven children, she could not travel around the country lecturing to women and pushing for equality. She met a woman who was not tied down with a family and could travel to give the speeches that Stanton wrote. That woman was Susan B. Anthony. She was featured on the silver dollar in 1979. The U.S. Treasury stopped minting the Anthony dollar in 1981. Stanton had many loyal followers until she wrote a book called The Women’s Bible, in which she declared religion was the cause of women’s suffrage. The Christian movement was furious at the accusation and denounced the book. Unfortunately, many of her followers left her after that. However, she went on fighting for women’s rights and became recognized for winning the right for women to vote. Truth was born into slavery and eventually escaped with her infant daughter, Sophia, in 1851. She became an activist for racial equality and women’s rights. She delivered an impromptu speech in Ohio in 1852; Ain’t I a woman? The $5 bill will still have the 16th president, Abraham Lincoln, on the front. On the back will be civil rights leader Martin Luther King Jr. and former first lady Eleanor Roosevelt. According to Lew, the redesign of the bills will hopefully be revealed by the year 2020, and they plan to put the new currency in circulation as soon as possible. Lew also said that for security reasons the $10 bill will be in distribution first. The Secretary of the Treasury is very excited about the face-lift of American currency. One Response to "United States Currency Gets a Face-Lift [Video]"
Thanks for these pointers. One thing I additionally believe is the fact that credit cards offering a 0 interest rate often lure consumers in zero interest rate, instant endorsement and easy online balance transfers, but beware of the top factor that may void that 0 easy streets annual percentage rate and as well as throw one out into the very poor house rapid.